Nicole's Needlework: Home from Michigan! 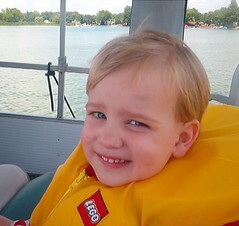 Jake on my dad's boat on Fenton Lake. 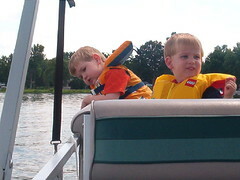 Bradley and Jake on the boat. 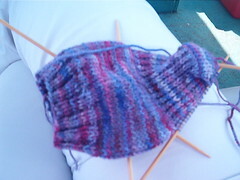 Purple Koigu sock #2 on the boat. 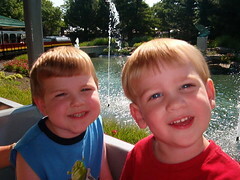 Bradley and Jake at the Detroit Zoo.